There are multiple awards you can use to recognize your Scouts, Leaders, Units and Congregation for the outstanding service to our youth and community. 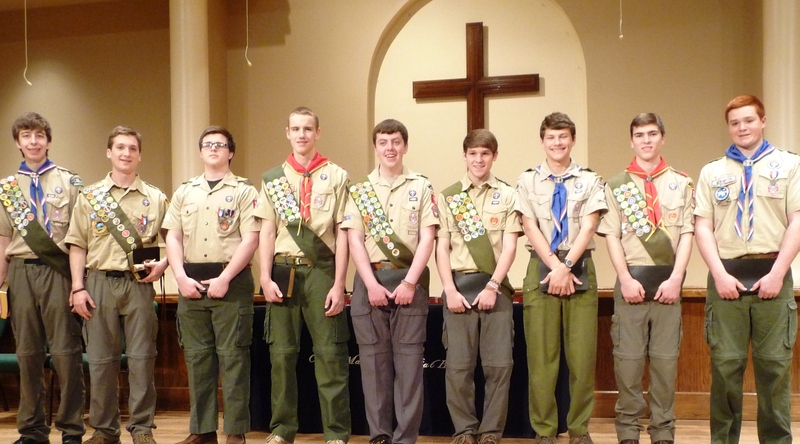 Here is a list of United Methodist Scout awards available to thank and recognize your scouts and leaders, as well as links to additional information and nominating forms. If you want to present these awards at Scout Sunday (in February), it is recommended you submit nominations by Dec 31st. The UMCOS can answer questions and help follow up on them. Contact Bill Swilley (Conference Recognition Coordinator) with any questions at Bill Swilley (swilleyw@aol.com).